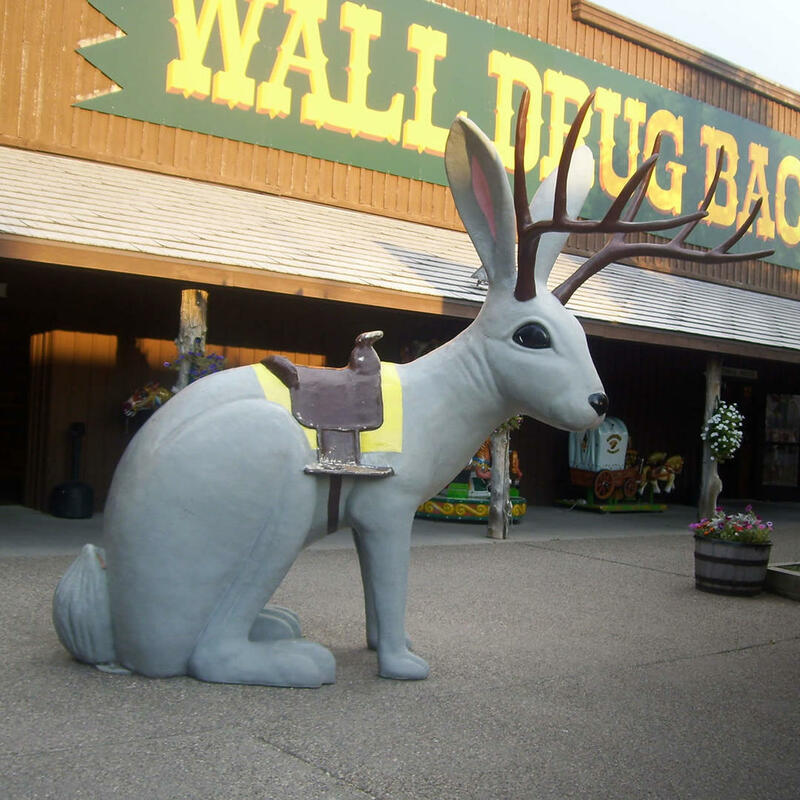 The giant Jackalope Jackrabbit in Mitchell, South Dakota is, sadly, no longer a Jackalope Jackrabbit. Someone removed it's antlers. So the photo opp is now with a giant jackrabbit! You can still sit in the saddle on its back - it still makes for a great photo!